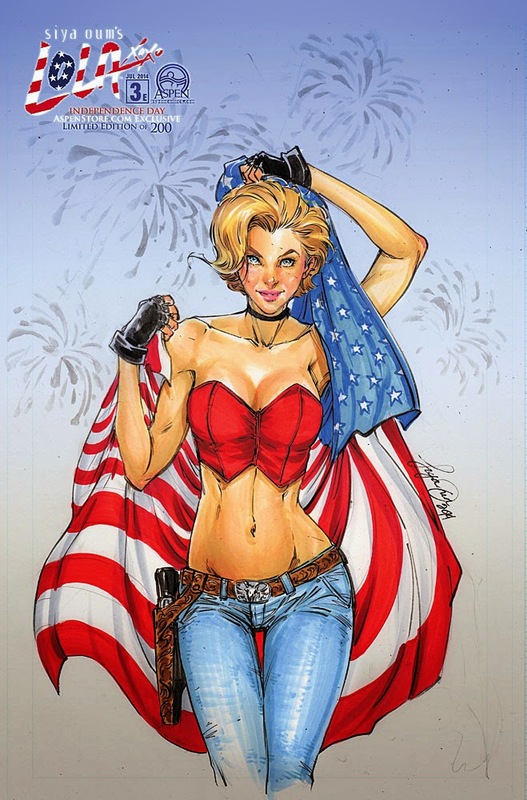 Aspen Comics will be celebrating the 4th of July by releasing a Lola XOXO #3 Independence Day 2014 cover by series creator Siya Oum. This Holiday exclusive variant is limited to 200 copies and is only available on www.AspenStore.com starting today, July 2nd, 2014. Aspen would strongly suggest ordering a copy as soon as they become available, as previous Aspen Store holiday variants have sold out quickly.